Dinos in Boston, MA is an Italian restaurant. 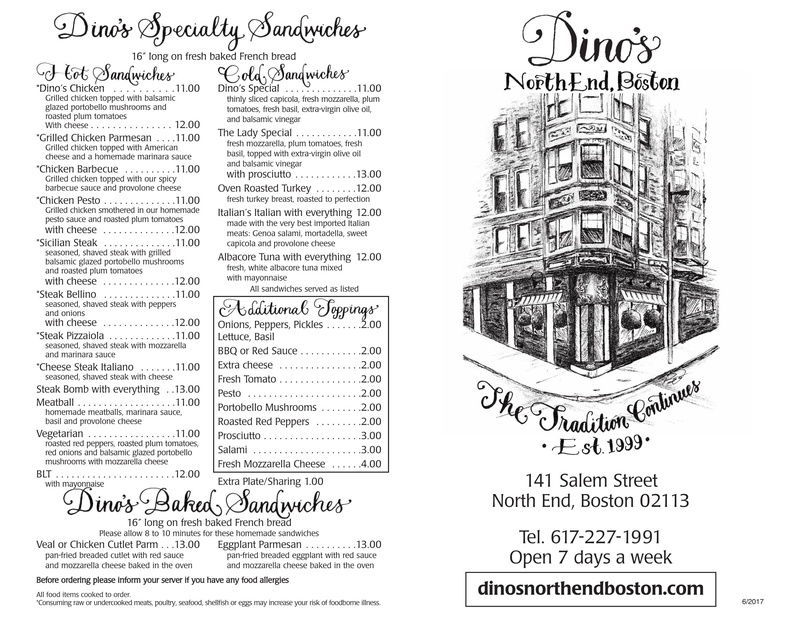 Dino's, a family-owned Italian Eatery located at the corner of Prince Street and Salem Street in the heart of Boston's historic North End, is a favorite among the locals and tourists visiting the Boston area. Dino's is the perfect choice to have a quick lunch with colleagues or enjoy a relaxed dinner with friends. We are proud to have been featured in many leading media reviews including: The Boston Globe, Phantom Gourmet and Chronicle. 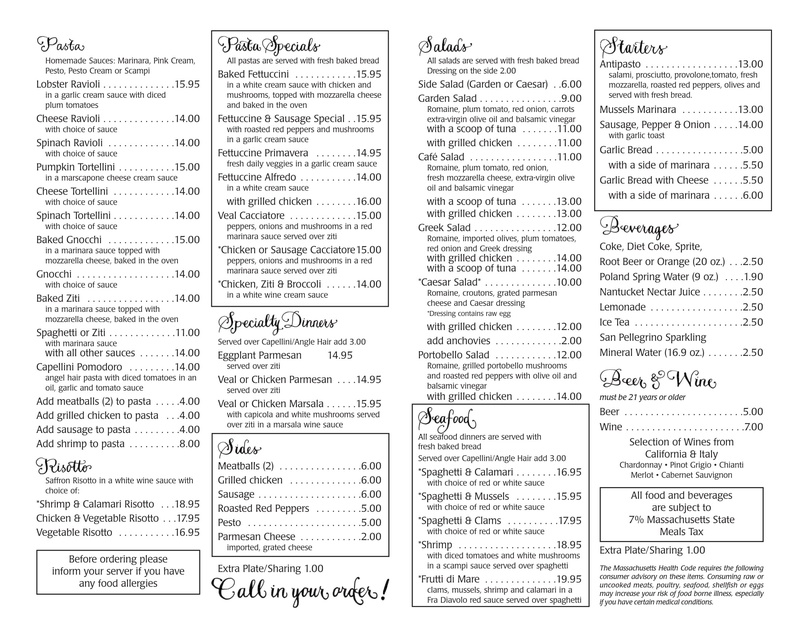 Feel free to call us to find out more about our restaurant and menu. Copyright © 2018 Dino’s. All rights reserved.